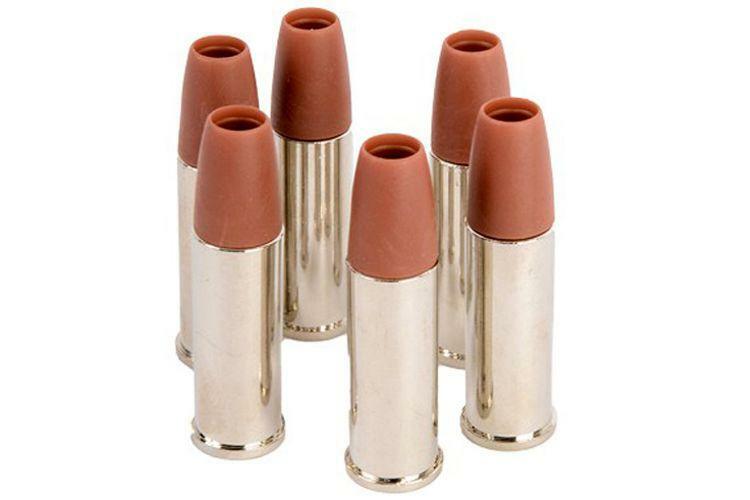 Colt Python Series 6mm Revolver Shells (Set of 6) |ReplicaAirguns.ca | New Website! Comments: The Colt Python Series 6mm Revolver Shells have been specially designed to maximize the shooting potential of the Colt Python revolver. They are made of durable materials and feature rubberized tips. Comes in a pack of six.